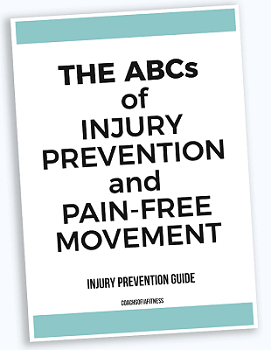 + GET THE 'ABC's OF INJURY PREVENTION AND PAIN-FREE MOVEMENT' GUIDE! GET ON THE WAIT LIST + DOWNLOAD THE GUIDE NOW! ENTER YOUR NAME + EMAIL TO GET THE FREE GUIDE!